About Us: The Heller Story - Heller Industrial Parks, Inc.
Heller was originally founded by Isaac Heller as I. Heller Construction Co., Inc., builders of industrial warehouses. 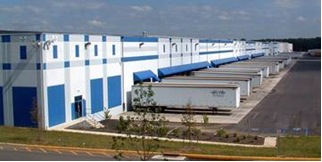 Today, Heller has grown into one of the nation's largest privately held industrial park owner/developers, specializing in building, leasing and managing high value strategically located distribution centers. Heller's remarkable history of growth and stability is rooted in "Ike" Heller's fundamental philosophy: "We build, own and manage all of our buildings, which guarantees total construction control, full maintenance responsibility and a commitment to quality not often found in distribution centers. And because we never borrow to finance construction, our lease rates are often lower than the competition." For Heller, every building is seen as a long-term investment. This means that in every phase of our operation, our guiding principle is a fundamental commitment to quality. We closely supervise all construction and general contracting. This saves money on construction, which means you save money on rent. Most people say it can't be done. In Edison, NJ, we transformed a century-old sand mine into an 8.5-million square-foot industrial park.. In order to put H.J. Heinz in Harrison, NJ, we persuaded local officials to tear down an old bridge. For the Western Electric site in Kearny, NJ, we convinced Penn Central to relocate Ford's new car depot. To locate B.F. Goodrich in Philadelphia, PA, we brought a gigantic water main onto the property and also rerouted a railroad at Goodrich's manufacturing plant 100 miles away so there would be rail service at "both ends". In Chicago, we convinced the municipality to relocate a proposed major sewer system in order to strategically locate a customer.